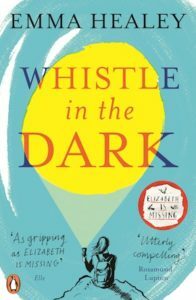 Whistle in the Dark, Emma Healey’s highly acclaimed follow-up to 2014’s Costa First Novel Award-winning Elizabeth is Missing, is now out in paperback. 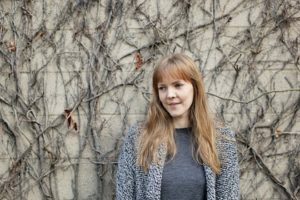 She fills us in on her daily routines and favourite reading, and explains why she is hesitant about meeting her literary heroes, preferring to confer with their creations. In my office, with my cat, keeping an ear out for my daughter waking (please don’t wake yet!). I write properly (things other people can read) in my office, but I scribble bits and pieces in a notebook wherever I am. At the moment I write in the afternoon, while my daughter naps, it’s never long enough so I definitely need a new routine. 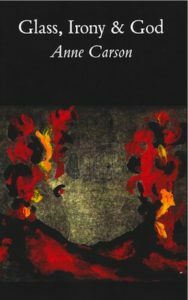 I read a bit, think a bit, look at pictures (postcards of paintings, or photographs) write a lot of questions down in a notebook, and then try and answer them on the computer. It’s all quite time-consuming, but when I finally write I write fast. I’m lucky enough to be full-time. Though a lot of that time is currently taken up with childcare. Both. I am surrounded by dozens of notebooks, but also lots of technology. I don’t know that I relax at all while I’m writing. In fact I get quite nervously energetic. And then drink big glasses of water and have to leave my desk to wee a lot. A fragmented mystery about a girl going missing, which is actually an exploration of mother-daughter relationships and teenage depression. But funnier than that sounds. I have a kind of amorphous ideal reader in my head. I can’t describe them, but I can sense them. And they love my work! My husband reads everything first. Then my mother, and then a small group of friends who are also writers. But… the characters I love haven’t been created, surely? They exist. It would be too awful to think otherwise. It’s the beginning of an absolutely brilliant exchange between mother and daughter. Dept. of Speculation by Jenny Offill. Or Mrs Bridge by Evan S. Connell. Or The Lighthouse by Alison Moore. I really, really enjoyed Kate Atkinson’s Transcription. The voice was wonderful, the setting brilliantly evoked, and the plot was great fun. I’ve been reading T.J. Clark’s The Sight of Death for ages. I get so much out of every page that it’s taking me a long time to finish. Also on my bedside table (because I have to pause to think about it a lot) is Rebecca Solnit’s The Faraway Nearby. The Prime of Miss Jean Brodie. I’ve read nearly all Muriel Spark’s others. I have my mum’s old copy of Virginia Woolf’s To the Lighthouse. I love the book anyway, but I love this copy especially because of my mother’s annotations. She had a very different reading from me (more class-conscious) and it’s fascinating and enlightening. I don’t think I’ve ever read a whole story collection, as in every story in a collection. But if I had to I’d choose one by David Sedaris, Lorrie Moore or Grace Paley. Another novel: part treasure hunt, part exploration of the objectification of women. Or maybe a children’s book about a giant. I haven’t decided. I never meet favourite authors if I can help it, as it would be so devastating if we didn’t get on. Characters seem less risky. So: Reginald (from Saki), the Provincial Lady (from E.M. Delafield), Lizzie Vogel (from Nina Stibbe), Philip Marlowe (from Raymond Chandler), Thomas Cromwell (the Hilary Mantel version), Flora Poste (from Stella Gibbons). They’d all make very amusing company. Emma Healey grew up in London where she went to art college and completed her first degree in bookbinding. She then worked for two libraries, two bookshops, two art galleries and two universities, and was busily pursuing a career in the art world before writing overtook everything. She moved to Norwich in 2010 to study for the MA in Creative Writing at UEA and never moved back again. Elizabeth is Missing, her first novel, was a Sunday Times bestseller, won the Costa First Novel Award 2014 and was shortlisted for the National Book Awards Popular Fiction Book of the Year. Her second, Whistle in the Dark is out now in paperback, eBook and audio download from Penguin.